I love cookie cutters. I think I love them more than I actually like cookies. 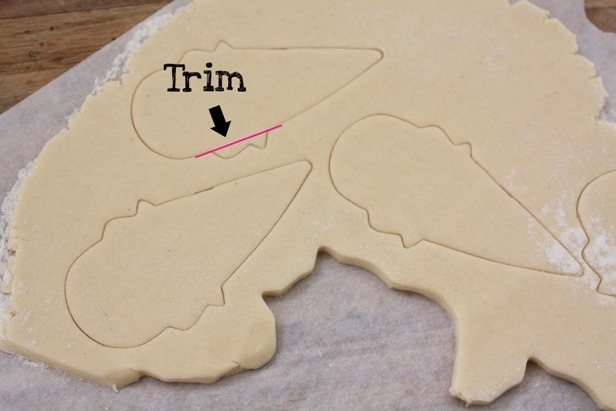 I think I can trace it back to the big metal tin of cookie cutters my Mom would pull out each Christmas. That and the sandwiches that my grandmother packed in my lunch in the first grade that were all cut into shapes with cookie cutters. My love has carried over into adulthood where I now have a big plastic bin full of cookie cutters and my daughter, who is in first grade, has a cookie cutter shaped sandwich in her lunch everyday. 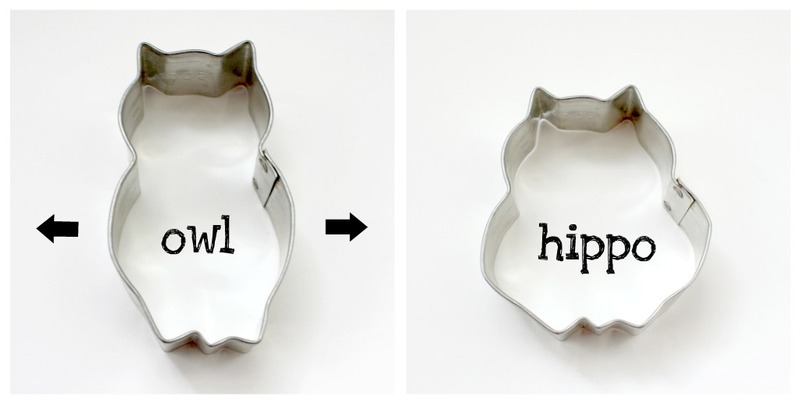 So I get really excited when I find a new reason to love cookie cutters. Sweet Sugar Belle gave me a fun one this week. 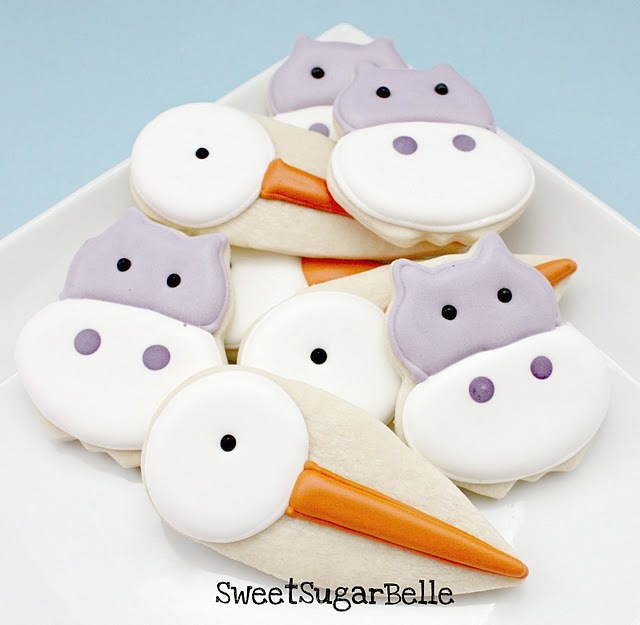 She made the cute hippo and stork cookies above. But she didn't use a hippo or a stork cookie cutter. That cute hippo, it is actually a modified owl. Then she works her frosting magic on it that you can see HERE. And the stork, well it used to be an ice cream cone. And again, she worked her frosting magic on it. You can see the stork over at The Celebration Shoppe. 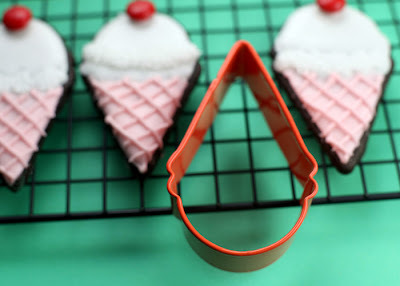 It is the same cute ice cream cone cookie cutter (that I NEED!) 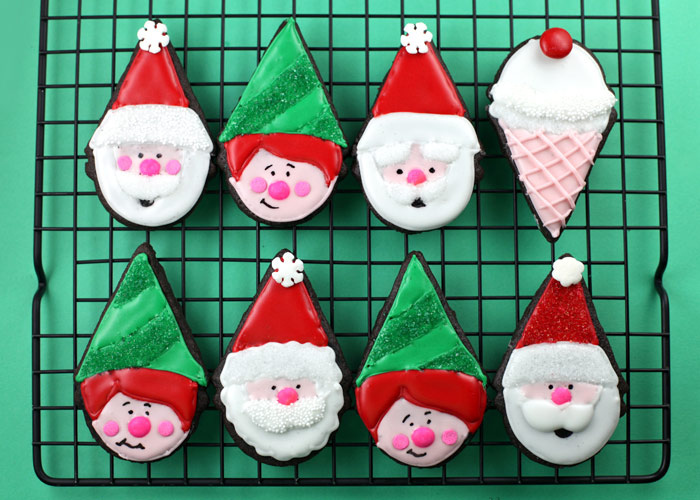 that Bakerella used to make these cute Christmas cookies. This cookie cutter right here. Actually, now that I look at it, the stork cookie cutter looks a little skinnier. But I think you get the picture and I think both would make a cute stork. PS - you really need to check out the stork cookies and see the clever way she frosts perfect circles. Thanks for sharing your find. I seem to be too impatient for cookie cutters and end up doing drop cookies.... but now I might have to practice patience so I can play around with cookie cutters! Thank you so much, Lorie! I love enabling fellow cookie cutter junkies, and creating new ones! 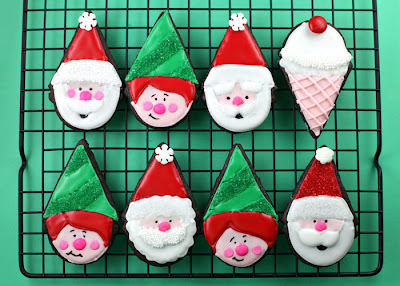 I loved those Santa ones from Bakerella! My 4-year-old asked to make cutout cookies soon. I mostly have Christmas cutters so maybe I can find things to modify! Oh my, I had never thought about that before!! Hope I win the chance to come with you to Louisville. Do you think there's a hippo at the Kentucky Zoo? Kentucky roads aint never been there! They tell me its nice! Decorating cookies is definitely NOT one of my finer qualities. I hope admitting that doesn't disqualify me from the Kentucky trip. I seem to collect cookie cutters-- but HATE actually making the cookies. Too much mess! What are people so smart. Seriously. Looking at this stuff makes me wonder why I don't think of cool things.